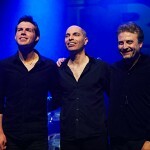 British trio Gwilym Simcock, Tim Garland and Asaf Sirkis brought the Lighthouse to April Jazz this year. 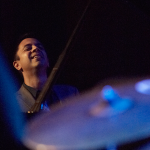 Independently they are masters of their instruments, accomplished leaders and have had award winning compositions promoting British jazz even further. Together, they are a powerhouse of harmonics and melodic textures taking you from one musical place to another. If you’ve never seen them live, you’re missing a listening experience which is extraordinary. 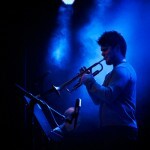 Finnish jazz has never sounded so good, Verneri Pohjola on home turf is a strong player with independence in mind. Showcasing his latest album ‘Ancient History’, he gave a powerful performance to avid listeners. He’s going to be breaking new shores over the next few years so be sure to see Verneri live.